Steel twin screw turbine vessel built by William Denny & Bros, Ltd., Dumbarton 1956 (Yard No 1487) for The British Transport Commission originally as a passenger and cargo vessel. December 9th 1956: Sea trials. December 10th 1956: Delivered to British Transport Commission, London, England. One of three Dukes, the others being DUKE OF ARGYLL, DUKE OF LANCASTER. 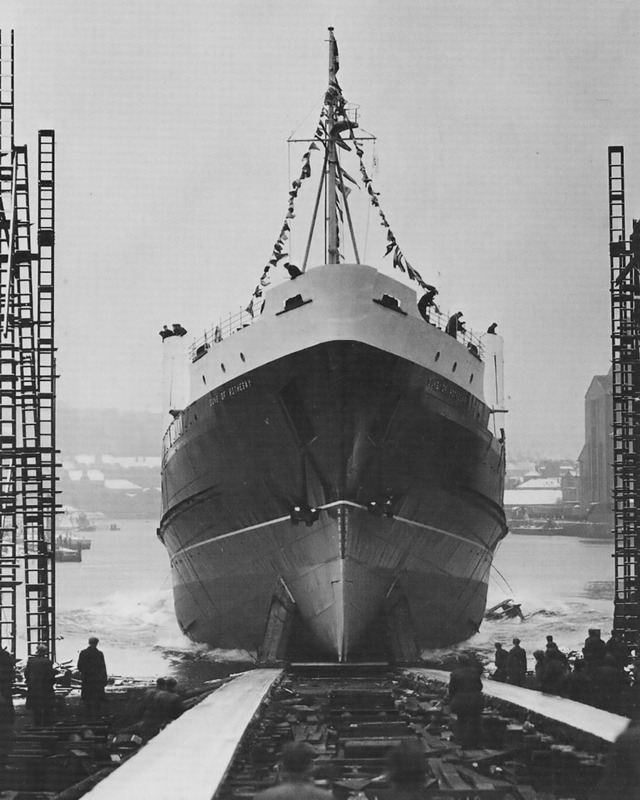 December 1956: Commenced service between Heysham – Belfast. 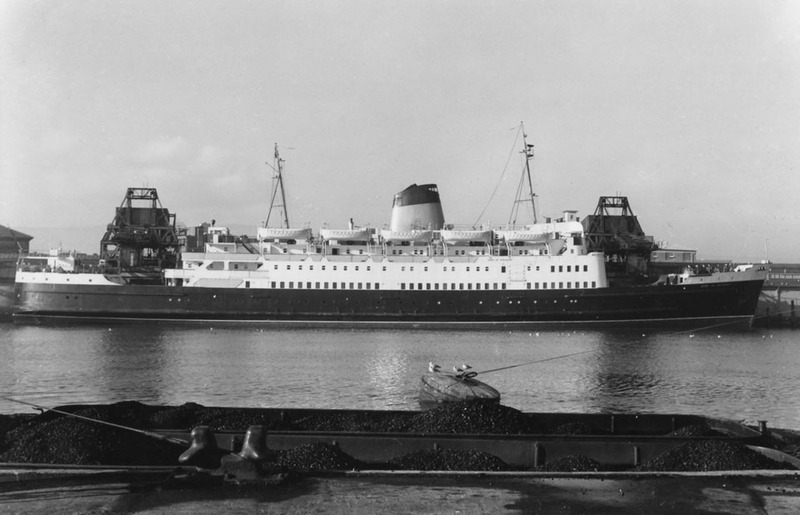 September 25th – October 11th 1965: Holyhead – Dun Laoghaire. 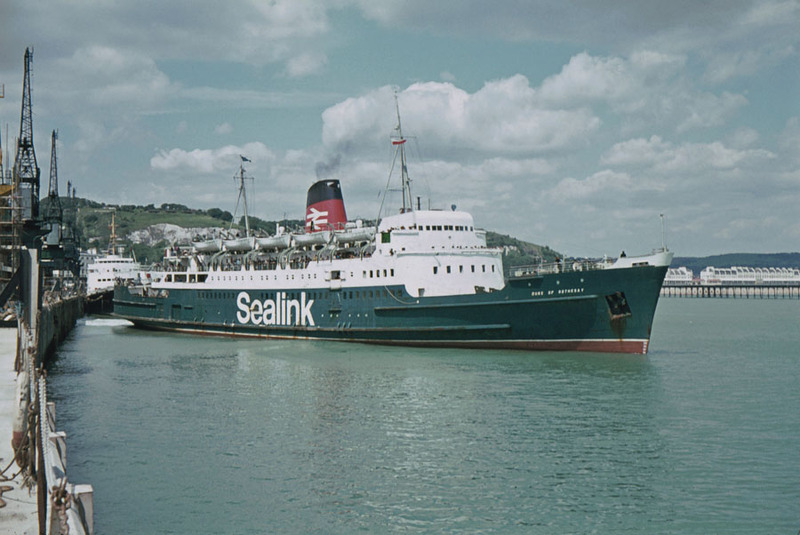 January 1966 – February 1966: Holyhead – Dun Laoghaire. February 1967: Conversion to a car ferry at Cammell Laird (Shiprepairers) Ltd, Birkenhead commenced. 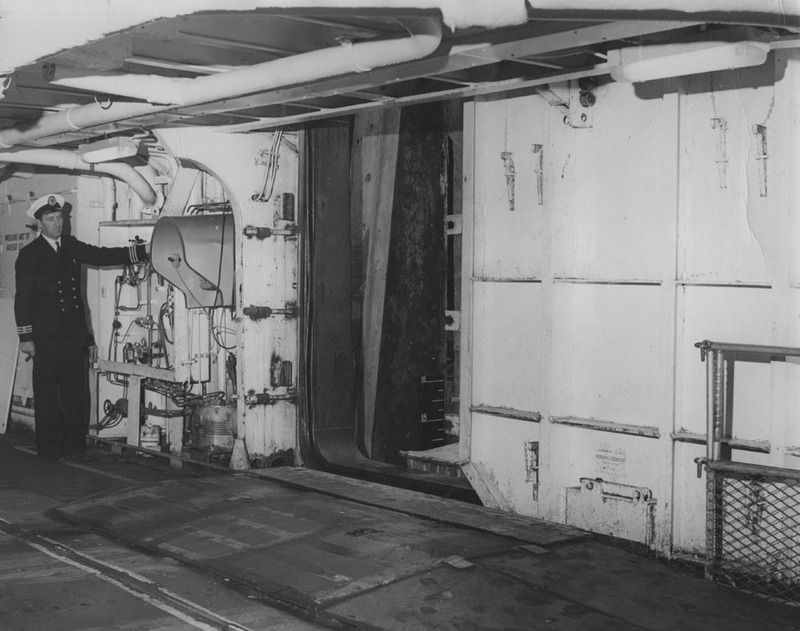 “The main deck had most of the bulkheads removed. 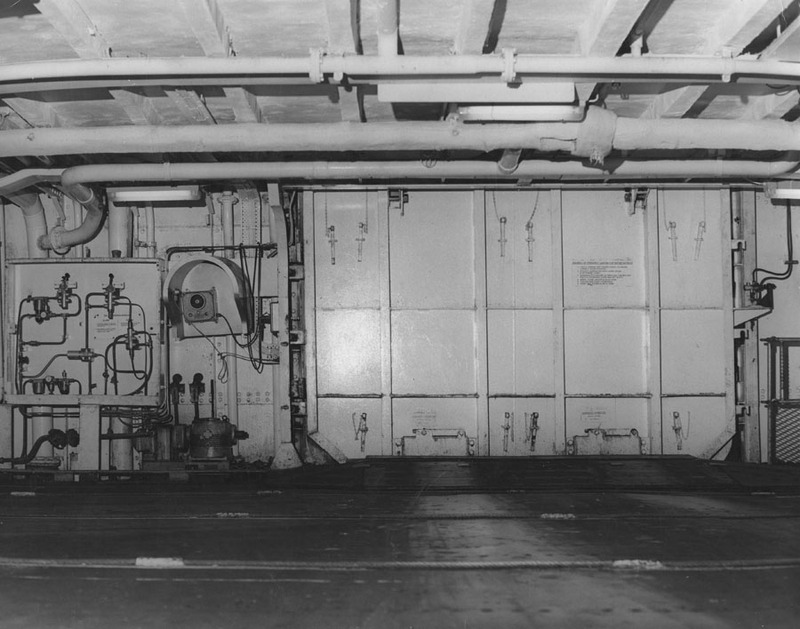 This area originally consisted of passenger cabins, crew living accommodation, and cargo spaces. The result was a clear and continuous driveway from stem to stern, leaving only an inner island comprising engine and boiler room casings, crew space, main stairways, air-conditioning machinery and fire-fighting equipment. To compensate for the removed deck supporting structures, additional girders and pillars had to be fitted, all to Board of Trade and Lloyd’s Register standards. In all a total of 116 cabins were removed during the conversion. 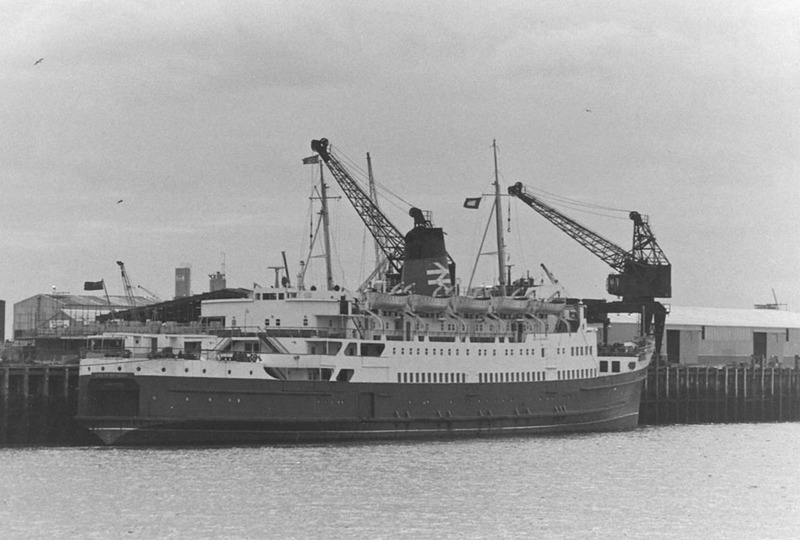 May 1967: After rebuild returned to commercial service between Fishguard – Rosslare. 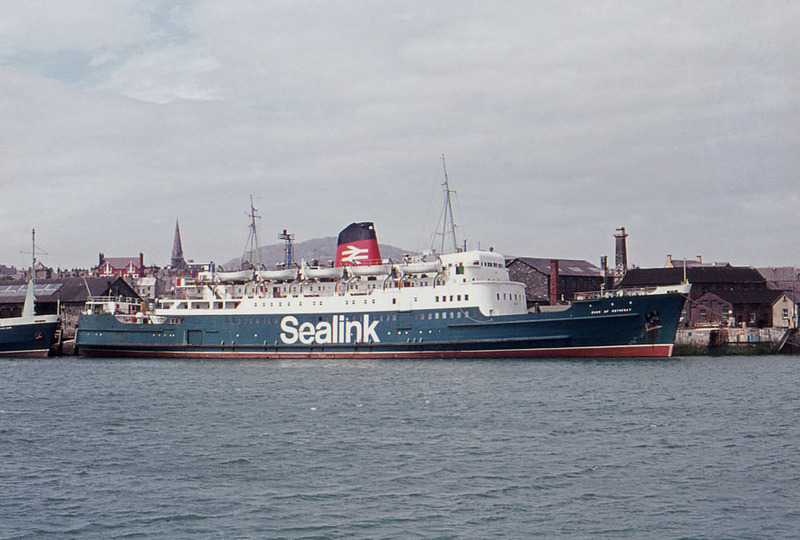 1971: Laid up in reserve sometimes operating between Holyhead – Dun Laoghaire and Heysham – Belfast. April 2nd (Easter Sunday) 1972: Six hour cruise to Aberystwyth. 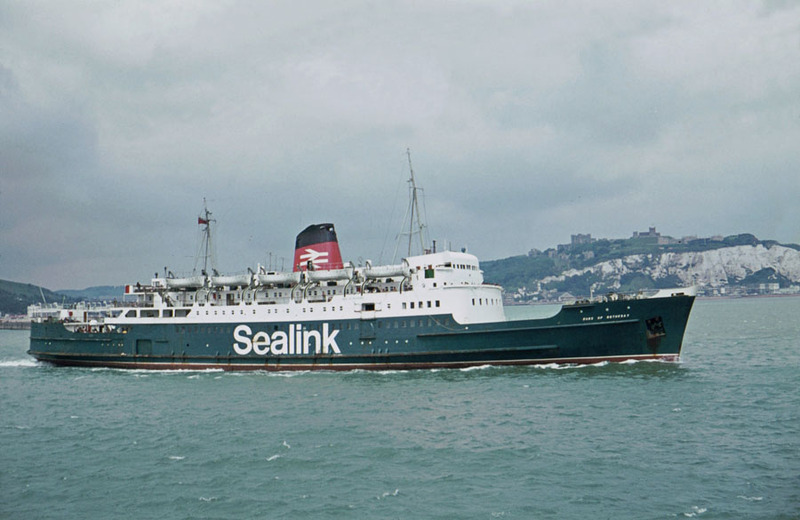 1972: Operated between Holyhead – Dun Laoghaire. Also fitted with stern doors during her refit at Holyhead. 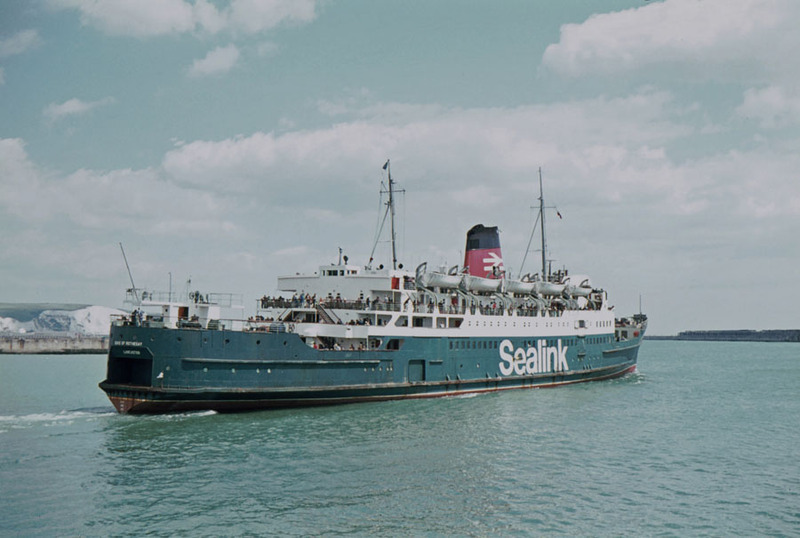 1972 (summer): Operated between Holyhead – Dun Laoghaire. September 14th 1972: Cruise to Aberystwyth. 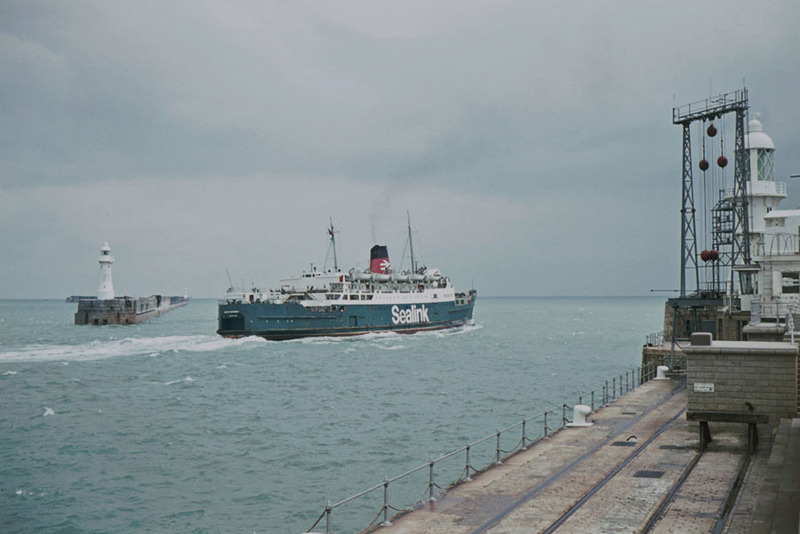 April 17th 1973: Opened the seasonal Dun Laoghaire car ferry service. 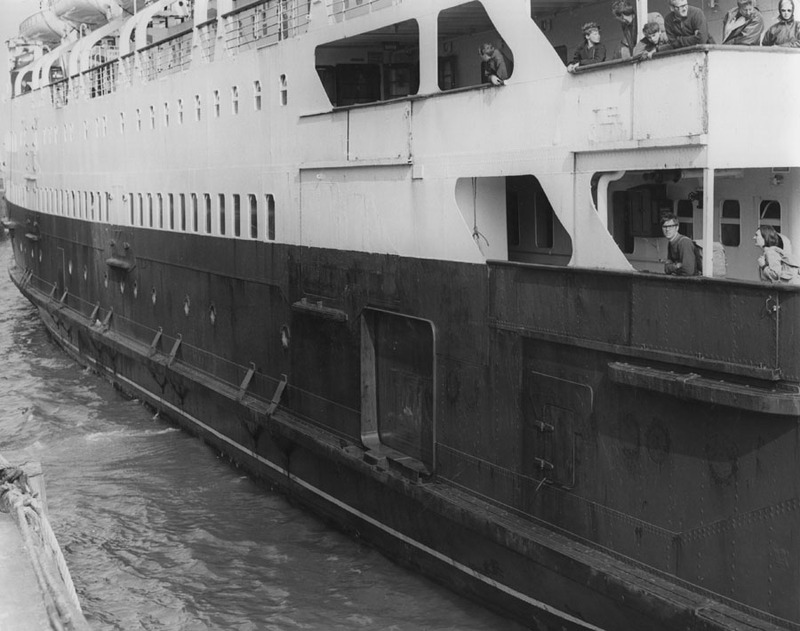 June 28th 1974: As a relief for MAID OF ORLEANS (which had been sent to Weymouth to deputise for the broken down SARNIA), for a short time operated between Dover – Calais. The only time that one of the former Heysham “Dukes” ever operated in the English Channel. 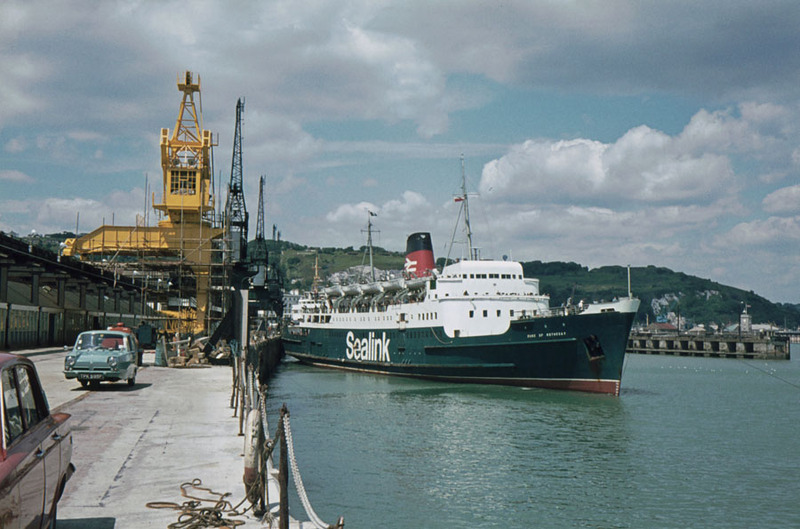 August 1974: Operated Fishguard – Rosslare. March 1st 1975: Last trip Belfast – Heysham. 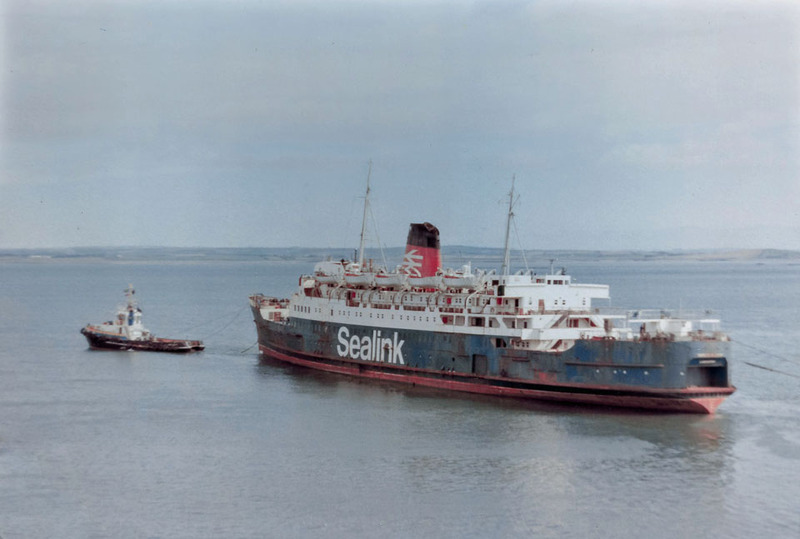 March 2nd 1975: Sailed Heysham – Holyhead. September 16th/17th 1975: Towed to Barrow and laid up. October 16th 1975: Sold to Shipbreaking Industries, Faslane, Scotland for £87,000. October 18th 1975: Arrived at Shipbreaking Industries, Faslane for scrapping. We would like to thank: Terry Conybeare, A G Jones, William MacDonald and Justin Merrigan for their assistance in producing this feature. All information is believed to be correct and no responsibility is accepted for errors and omissions. Thanks for your article which I enjoyed very much. I have the large brass Denny of Dumbarton engine room plate for this ship hanging on my wall so I was just doing a bit of research on the ship. We live near Faslane and guess my father managed to obtain the plate from Shipbreaking. He had served his time as an apprentice at Denny in the late 50’s.